Generally speaking, most cruises can be booked anywhere from 18 months to one week ahead of sailing. When you choose to book the cruise is up to you, but there are pros and cons for booking early or late. Booking further ahead gives you more choice when it comes to cabin location. So, if you want a specific cabin or even a particular category that happens to be popular (certain suites or balcony types tend to sell out early), you'll want to book as soon as possible. The closer to the date of sailing you book, the less choice you'll have but the more likely you are to save money. With the exception of high-demand sailings (like those during school holidays and each destination's high season), the prices on most cruises tend to drop as the sail date approaches. In both cases -- booking early or late -- you're liable to get extra perks. Cruise lines use incentives to get people to book early (usually six months to more than a year out) or close-in when ships haven't sold out. 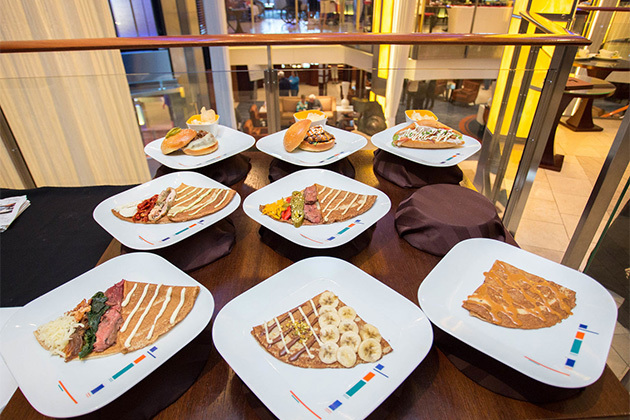 Perks can include extras like prepaid gratuities or a free dinner in a specialty restaurant. What is the best way to actually book a cruise? Once you're ready to make a decision and put money down, you have to decide where to go to book the cruise. You have several choices. You can book directly with the cruise line you've chosen, either via its website or by picking up the phone and calling, or you can use a travel agent to book. If you're undecided on which cruise line you want to sail, but you're prepared to make a booking for a particular date, you'll want to use the travel agent. He or she will be able to discuss which cruise line and ship are right for you. A cruise line sales rep will help you research options, but only regarding the cruise line he or she works for. How do I know which cabin to pick? 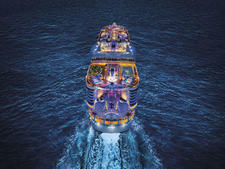 Which cruise ship room, or cabin, you pick should be determined by what's most important to you. Is it vital that you be able to sit outside and soak up the tropical rays of the Caribbean without a crowd? If yes, you'll probably want a cabin with a balcony. Would you just like the least expensive cabin so you can spend more money elsewhere? Check out the windowless inside cabins. In addition to selecting your cabin type, you'll also want to look at the cabin's location. Do you or someone in your room have trouble walking? Then you might want to be located near the elevator. Light sleeper? Make sure you're not over or under a high-traffic area like a restaurant or the theater. For more detailed information on cabin selection, check out How to Choose a Cruise Ship Cabin or read reviews of specific ship cabins. No, you do not. You will be required to put down a cabin deposit, which can range anywhere from $50 (during a special lowered-deposit promotion) to a few thousand dollars for a round-the-world cruise. A typical deposit is in the range of $250 to $1,000, depending on length of cruise and cabin type. The rest of the payment is typically due one to three months before the sailing date, again depending on the length of the cruise and the cabin type. 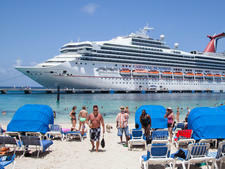 Check with your cruise line or travel agent for specifics, as some cruise lines have stricter rules. Disney Cruise Line, for instance, has final payment dates much further out -- from 75 to 150 days prior to sailing. In most cases -- but not all -- deposits are refundable if you cancel your cruise booking before the final payment date. Carnival, for instance, offers a special price-match fare that guarantees you'll get the lowest price for a particular cabin category; the caveat is the deposit is nonrefundable if you decide to cancel. Alternately, if you book a cruise (on any line) after the final payment date is due, you'll need to pay the full price of the cruise up front. If you're working with a travel agent, you can arrange to pay off the cruise in installments before the final due date. 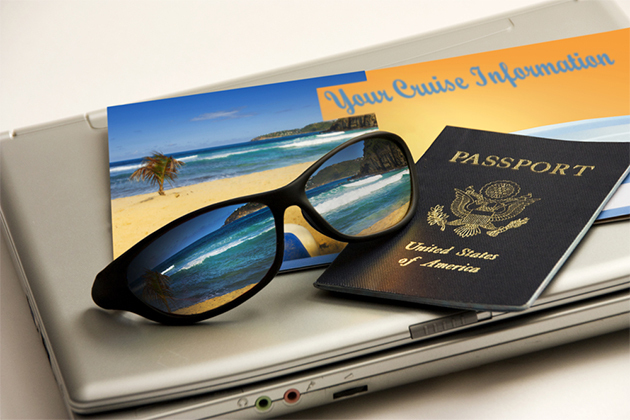 Keep in mind, with virtually all cruise lines, the final payment date is a hard stop deadline. If payment is not received, the booking is cancelled -- usually within 24 hours. What if I want to cancel or change my cruise after I've booked it? Life happens, and sometimes you need to change your cruise date or cancel your cruise vacation altogether. In most cases, name, ship and sailing date changes are allowed by cruise lines, though they're sometimes subject to a per-person service fee. This is generally allowed only if changes are made well in advance of the cruising date. (How much in advance varies by cruise line.) Keep in mind that any perks that came with the original booking almost never transfer to the new ship or sailing date, as the new reservation is considered a new booking, unrelated to the original. Changes made after the final payment date are almost always subject to a cruise line's standard cancellation policies because changes are technically considered cancellations. Cancellation policies vary by cruise line but, generally speaking, there is always a schedule of penalties that get steeper as the sail date approaches. Penalties often vary by the length of the cruise being canceled, as well as by cabin type canceled. As an example, Norwegian Cruise Line keeps only the deposit when non-holiday cruises of six nights or more -- in a cabin category below a suite -- are canceled between 75 and 56 days ahead of sailing. 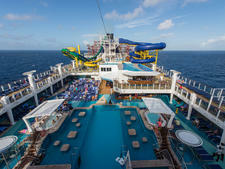 But if a cancellation is made between 55 and 29 days before sailing, the line keeps 50 percent of the cruise fare paid. That goes up to 75 percent for cancellations made 28 to 15 days before sailing and 100 percent if canceled within two weeks of sailing. Again, these cancellation schedules vary by cruise line, with some lines being more generous with penalties and others stricter. The cruise line/my travel agent is suggesting travel insurance. Do I need travel insurance when booking a cruise? Travel insurance is never a requirement, but it is always highly recommended. While no one ever expects things to go wrong on a vacation, the truth is that anything can happen. Personal illness, cancellation of plans by a travel companion or the cruise line, weather delays, lost baggage -- the list of things that can go wrong is nearly endless. Travel insurance is your best protection against the financial loss that can accompany these travails. For a complete look at the ins and outs of travel insurance, and which kind will give you the most protection, read Cruise Critic's Travel Insurance Primer for Cruise Travelers. How do I know if the price I was quoted for my cruise is a good one? Cruise pricing can be quite complicated. Fares vary greatly based on itinerary, the time of year, the cabin category, the ship's age, the type of cruise line (mainstream, luxury, riverboat) and even how much time is left before the sail date. Once you're comparing apples to apples, you'll find that cruise prices between sellers tend to be similar. What you're really looking to see is if the price the cruise line is selling at right now is a good one. For that, you need to be monitoring prices prior to booking to see how rates are rising and falling on a daily basis. (Like airfares, cruise fares fluctuate constantly.) Once you have a baseline, you have two choices: Book the cruise now, knowing you're paying the same price most people are paying, or wait for a possible sale or price drop. 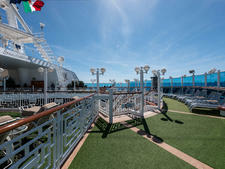 The risk to waiting is that, if the cruise is selling well, prices could increase. Plus, your choices of available cabins narrow the longer you wait. Don't forget to factor in promotional perks when you're assessing if a cruise fare is worth booking or not. While a cruise fare might be the same across sellers, a booking that comes with prepaid gratuities or onboard spending money will ultimately be a better deal than one that doesn't have freebies attached. And remember, when comparing fares, make sure you're including all taxes and fees. How do I find out more about booking my cruise?